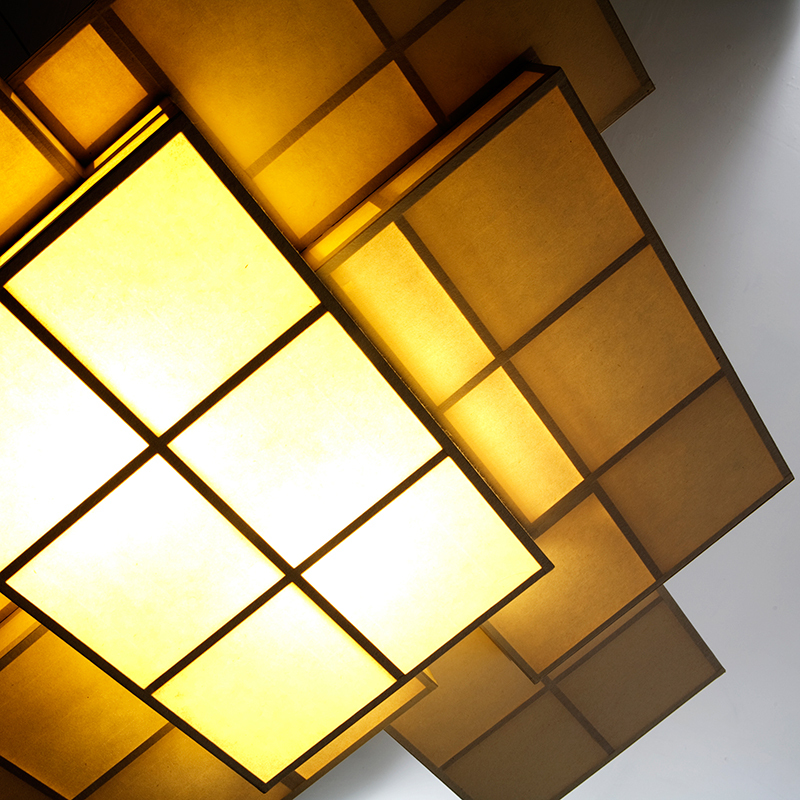 A gentle layering of thin lampshades made of Japanese washi paper taking shape in an extended series of multiple straight lines gives an impression of endlessly and widely expanding space. The product realizes a luxuriousness and tranquility that existing Japanese-style lighting apparatus and chandeliers do not possess. 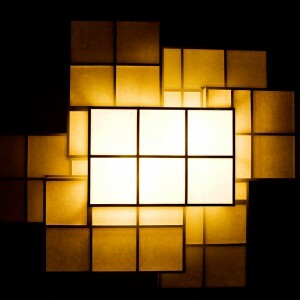 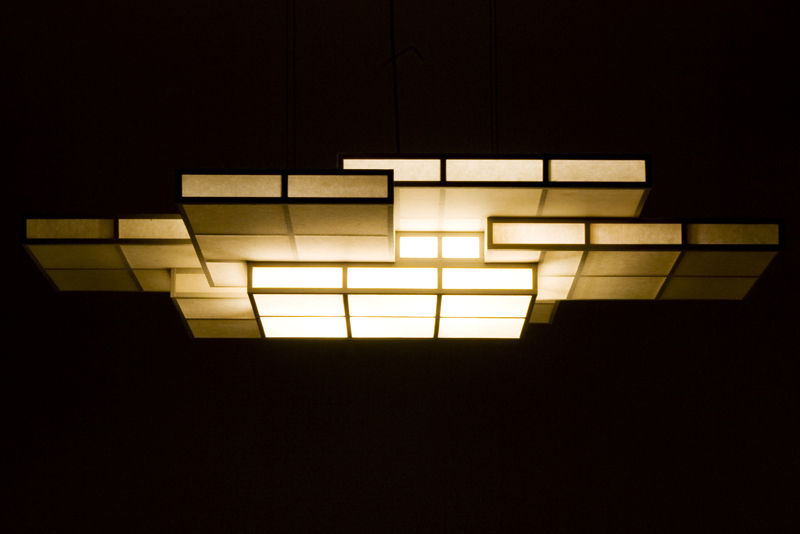 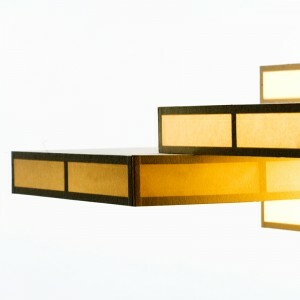 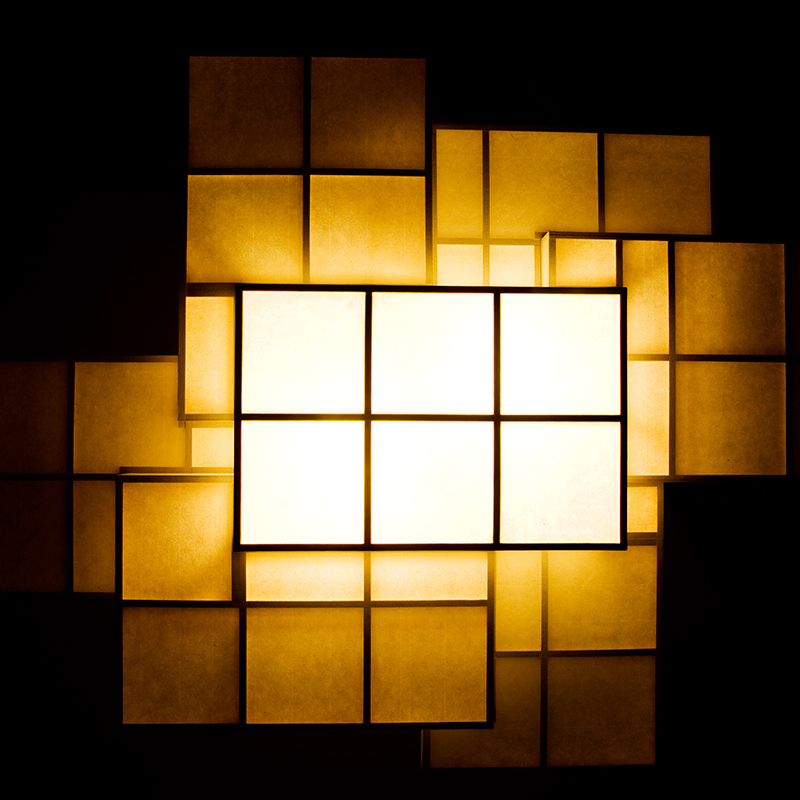 When the light is turned off, it looks like piled wood blocks made of washi. 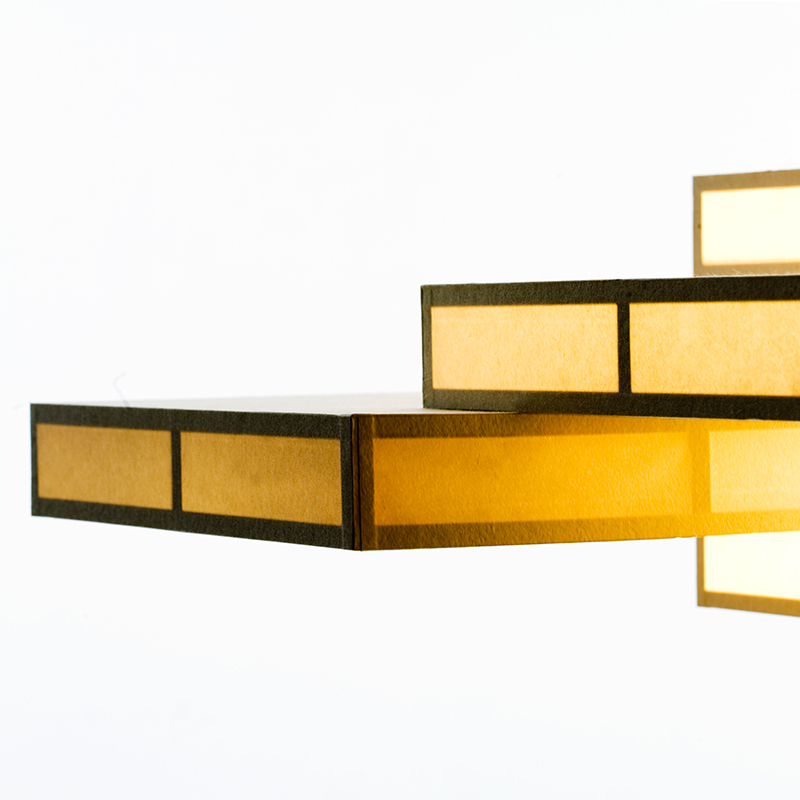 Combining the beauty of unique Japanese materials and contemporary design, KASANE ANDON accentuates space with calm and beautiful light.